Aww how I love to get together with my family and I’m sure you are not at all surprised that I LOVE to cook up delicious party food either! With the holidays pressing in, you would think that with 7 kids we would all see each other all the time BUT having so many kids and 3 of them married, poses many gathering issues. We unfortunately have to share our grown kids with the spouses family too! When the holiday season rolls around, we’ve found it so important to be flexible with our timing of family gatherings. I am not one to want to put a lot of pressure on my kids regarding who’s house they go to for a special holiday. No matter what, I want them with me!! LOL However, I refuse to put undue pressure on my kids in a world that is already stressful enough. One thing I can guarantee though… at our gatherings we LOVE to have TONS of food no matter who comes on over! 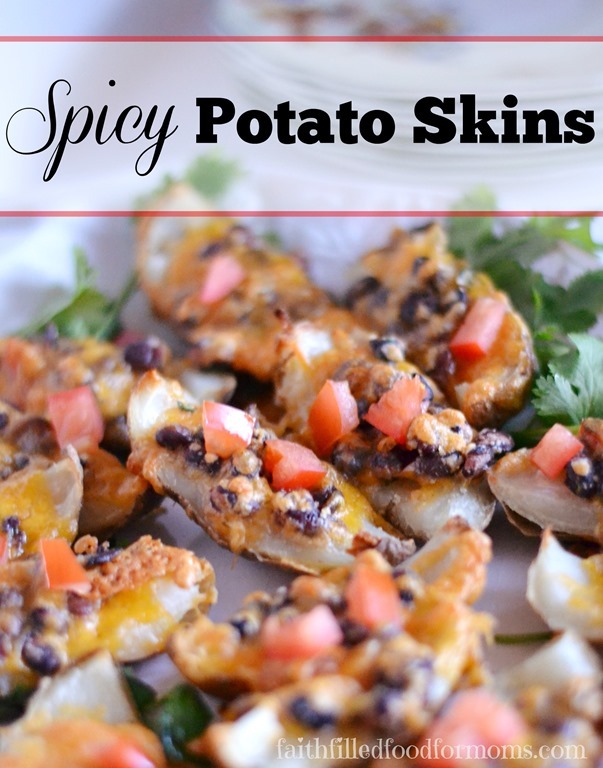 Appetizers are one my favorite foods to create during the holidays because you can always expect the “traditional foods” like ham, turkey, mashed potatoes etc. every year, sooo I love to switch it up and serve something different on the side when my company comes and we are visiting and waiting for the dinner to cook. First wash your potatoes super good. I even use soap these days….umm yes I rinse super good Then pierce several holes into the potatoes so they don’t explode. Now you can either Bake your Potatoes in the oven or in the microwave, depending on your time frame. 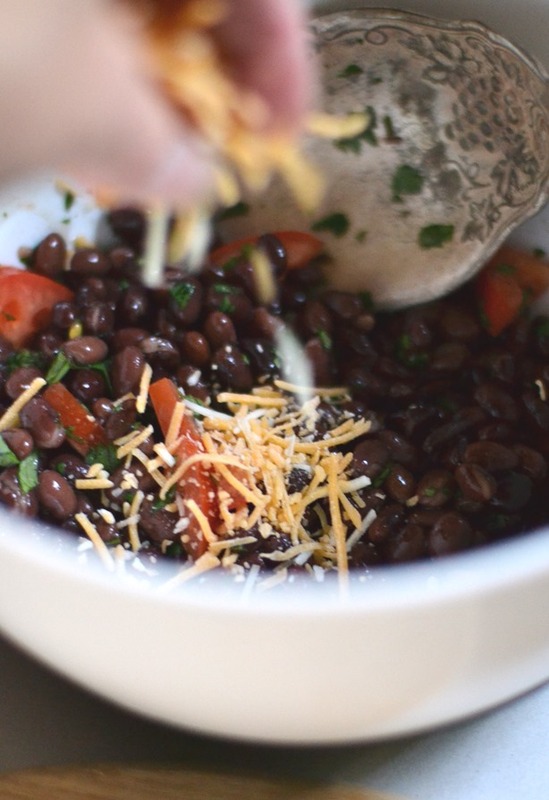 While your Potatoes are cooking, mix together the Beans, Cilantro, Tomatoes, Lemon Juice and 1/2 cup cheese in a bowl. 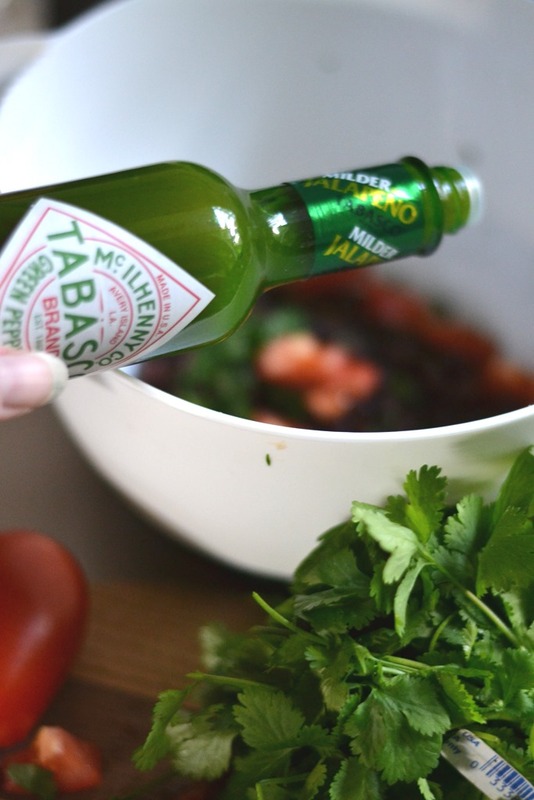 Now add the Green Jalapeno Pepper Sauce to your taste. I added 5 drops and it was not too spicy at all. This sauce is very mild but has a fantastic Jalapeno flavor, which is great for those that don’t want something too spicy. It was great for my husband who just can’t handle Spice! 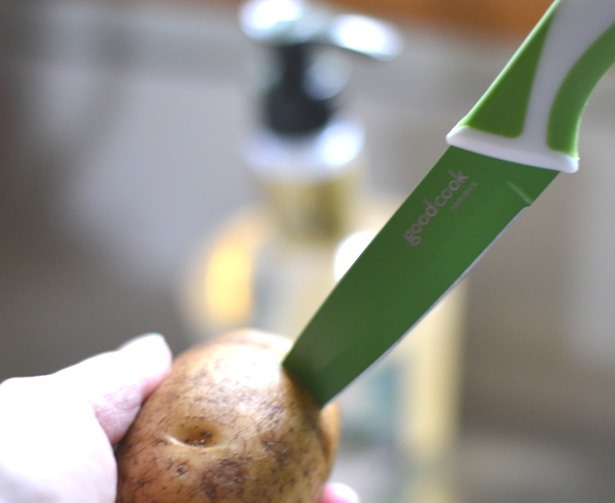 After Potatoes are cooked, let them cool for about 10 – 15 minutes…or you will burn your hands! 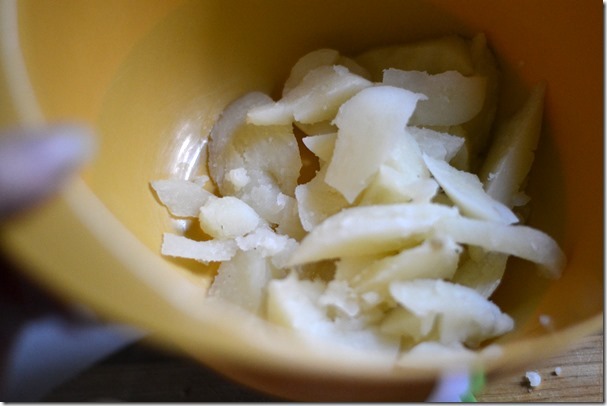 Then cut your Potatoes to the size you would like your appetizers to be. 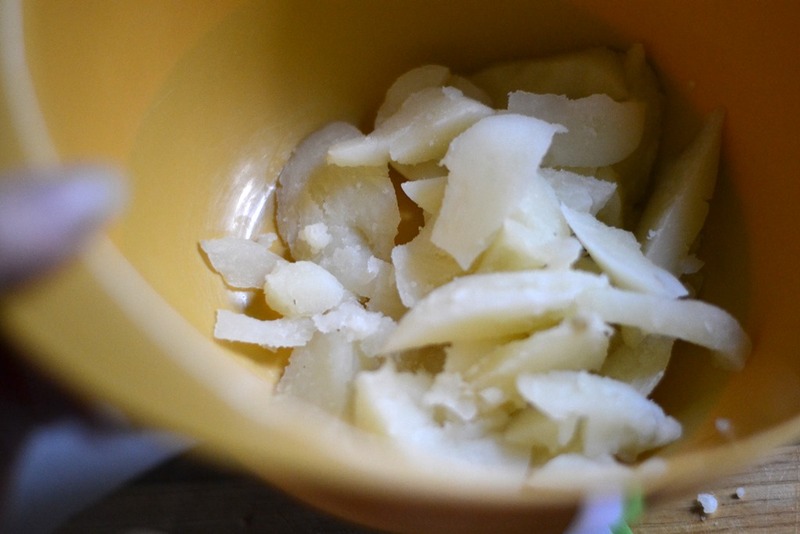 Carefully cut out the inner potato to about 1/4 inch of the peel. 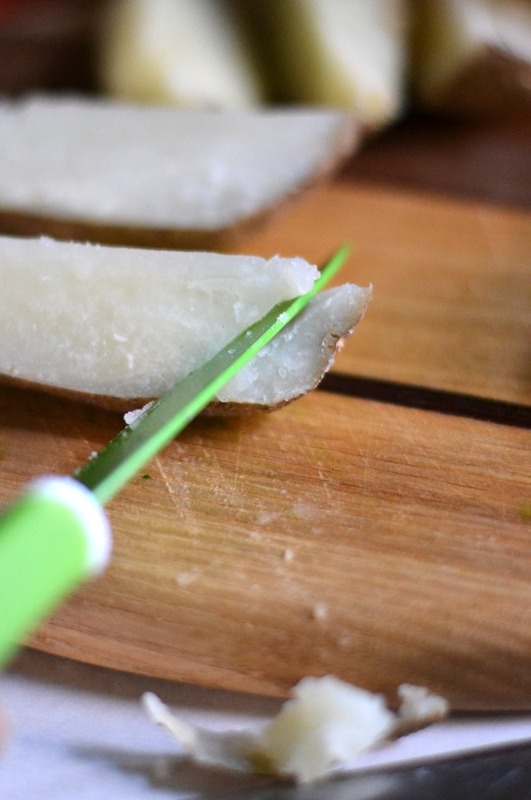 Don’t throw away the rest of the potato! Keep and use for your dinner or for another time. 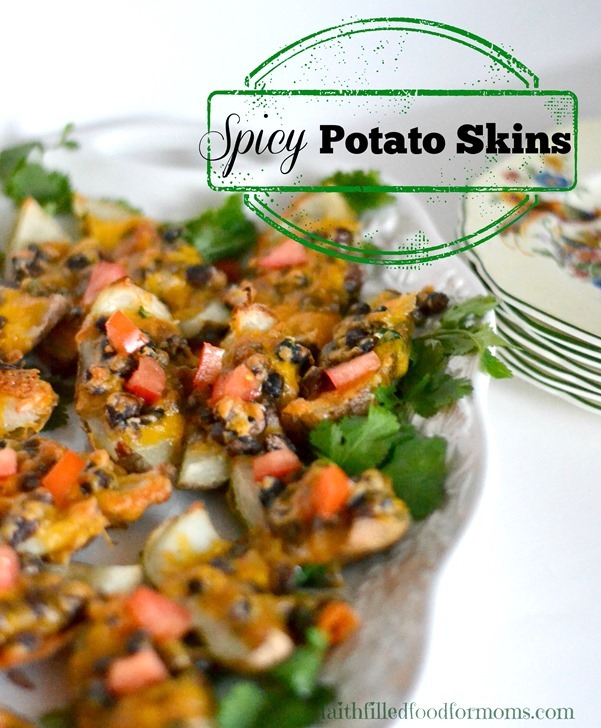 Place Potatoes on a baking sheet and top with about a Tablespoon of the Black Bean Mixture. Then top with the remaining cheese. Bake in a 425 degree oven for about 15 minutes until the Cheese is nice and bubbly…or less if you want it more gooey. 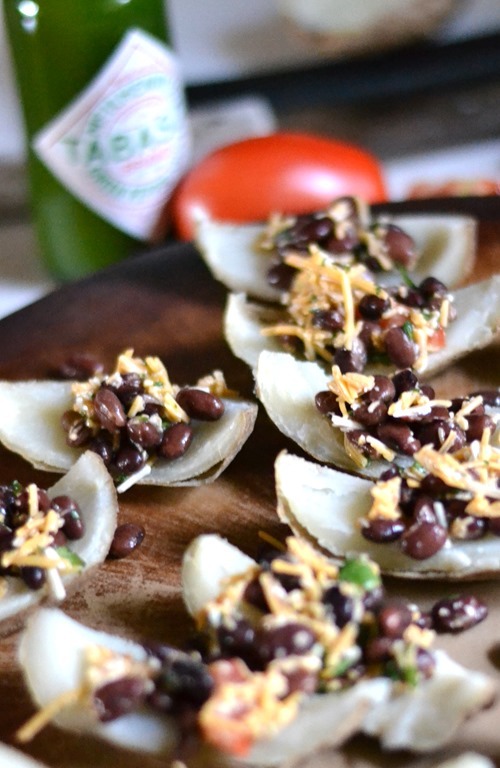 If you want you can sprinkle with more finely chopped Tomatoes and a tiny bit of Cilantro to pretty it up for serving. These Spicy Potato Skins turned out great and would be a delicious party food for any occasion, definitely #SeasonedGreetings! You could also DEFINITELY make these ahead of time and if you are really ambitious you could make extra and freeze! You know me.. I LOVE to freeze everything! 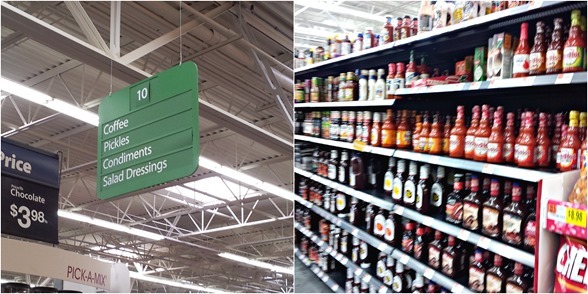 I purchased the new Green Jalapeno Pepper Sauce at Wal-Mart! First wash your potato’s super good. I even use soap these days….umm yes I rinse super good Then pierce several holes into the potato’s so they don’t explode. Now add the Green Jalapeno Pepper Sauce to your taste. I added 5 drops and it was not too spicy at all. Place Potato’s on a baking sheet and top with about a Tablespoon of the Black Bean Mixture. Then top with the remaining cheese. Thank you Amanda! Thank you for stopping by! Blessings!